Crunch, or the process of video game developers working very long hours for a very long time, is a big problem. I mean, look at your job: can you imagine working 80 hours a week, every week, for over ten years? Because that's what former Uncharted writer and director Amy Hennig did. In an interview on the Idle Thumbs podcast (via GI.biz), Hennig, who is now with EA, talks about the "unsustainable" business model AAA games development is built upon, and the toll it takes on the individual humans responsible for putting your electronic entertainment together. 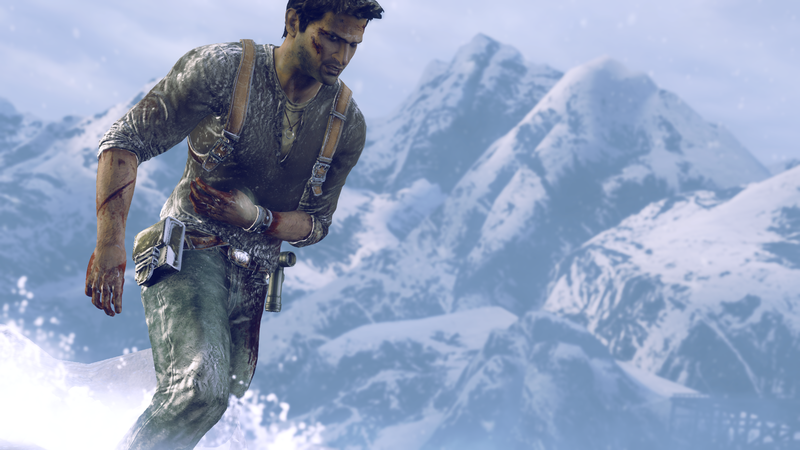 After mentioning the stresses Naughty Dog faced between the release of Uncharted 2 and 3, when the studio ramped up and split into two teams to accommodate development on The Last Of Us, Hennig says she took almost no time off over a decade's work. "The whole time I was at Naughty Dog, ten and a half years, I probably on average, I don't know if I ever worked less than 80 hours a week. There were exceptions where it was like, 'OK let's take a couple of days off', but I pretty much worked seven days a week, at least 12 hours a day." Just in case you think that's only Hennig and other top positions on the team, she adds that "A lot of [Naughty Dog]" worked similar hours. "I mean, Naughty Dog is pretty notorious for the amount of crunch, but obviously in a leadership role you try and do even more." I don't care how much you love your job. That ain't right. If you feel obliged/required to do that many hours, leave. She stayed of her own volition, so she cant really complain. However, if you are FORCED to do that many hours that aint right. who said she was complaining, merely stating a fact. As a person who has been working for that many hours some weeks for decades, nothing is more annoy than people who presume because you talk about it , you are complaining. its part of some industries, I am regular obliged to work that many hours, sure I choose to but if I dont want to work like than perhaps the industry is not for me. Commenters used to be able to say 'well, shucks - hope more of this comes to light so Somebody can do Something About It'. That was a long time ago. Nothing changed. And then you've got the serial 'cry me a river' heroes who talk about how they do Real Work and dev or art types should Toughen Up. That was probably last week. There's no easy answer to this, but I am still a little brassed off at how the conversation surrounding it always invariably ends up trying to make the end user - the player - feel guilty. Hell I never play Naughty Dog games anyway. But between something like Last of Us' development cycle; and whatever the hell went on during the making of little-known indie game No Man's Sky, we as the audience can't be expected to buy these games, enjoy them, share their merits around so others can too, but at the same time want to know how the sausage is made. Yes, I work hard too. But that's not me dismissing Hennig out of hand. I'm a fan of Idle Thumbs and yet to listen to that episode. Insights like this are valuable. The Thumbs team practically were the developers of Firewatch, correct? I want to see Behind-The-Scenes type stuff from start to finish on games like that, sorta like Double Fine maybe did. Another studio whose games I've never touched so I'm not clear on how in-depth their self-made documentaries are. I think Plunkett's last sentence is probably unnecessary. I don't like making cheap shots at the guy but what's he going to do next, ask a Bastion cosplayer at PAX what they think about a Blizzard employee's wage? Taking holidays in the US is a strange thing. Here it's fine and we just work around it. Heck, a third of my team is away currently and will be for over 2 months. People can just wait a little longer for things to be done. From reading comments from people in the US, there is a big thing about not letting your team down, working crazy hard and vacations are for pussies. Then there are the states where you can be fired for no reason at all. Doesn't sound healthy at all. Our way of life seems pretty alien to them. I've seen people say "Wow, no wonder everything costs so much over there, companies have to hire twice as many people". What? The US tied capitalism, honest work and a good work ethic together early on and it seems to make them really defensive of abusive practices. It's really creepy to hear some of the stuff that comes out of the American working class. It's almost blasphemy to suggest that an employer is using tips as a way to circumvent minimum wage laws and distance themselves from financial commitments. It's totally socially acceptable to run a business with an irresponsible lust for profit, screwing over your customers and your employees, because at some point it was decided that the sole reason for a business existing was to generate profit. If only there was some kind of method of... organising employees together to push back against employer demands. Some way of empowering employees to demand better pay and conditions. A sort of... unified employees organisation, or "union", if you will. Enough of your pinko talk, comrade. Yeah but you can just sack anyone that joins. Worth noting: this isn't the Idle Thumbs podcast, which rarely has guests, but the Designer Notes podcast, part of the same network. No wonder games are released with so many problems. You can't maintain quality with that sort of work culture.